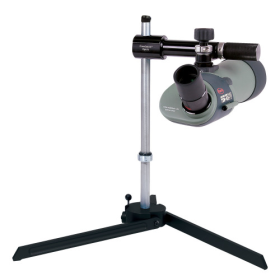 Konuspot-80 Spotting Scope, Spotting Scopes: Creedmoor Sports Inc.
A common sense solution to a common problem. 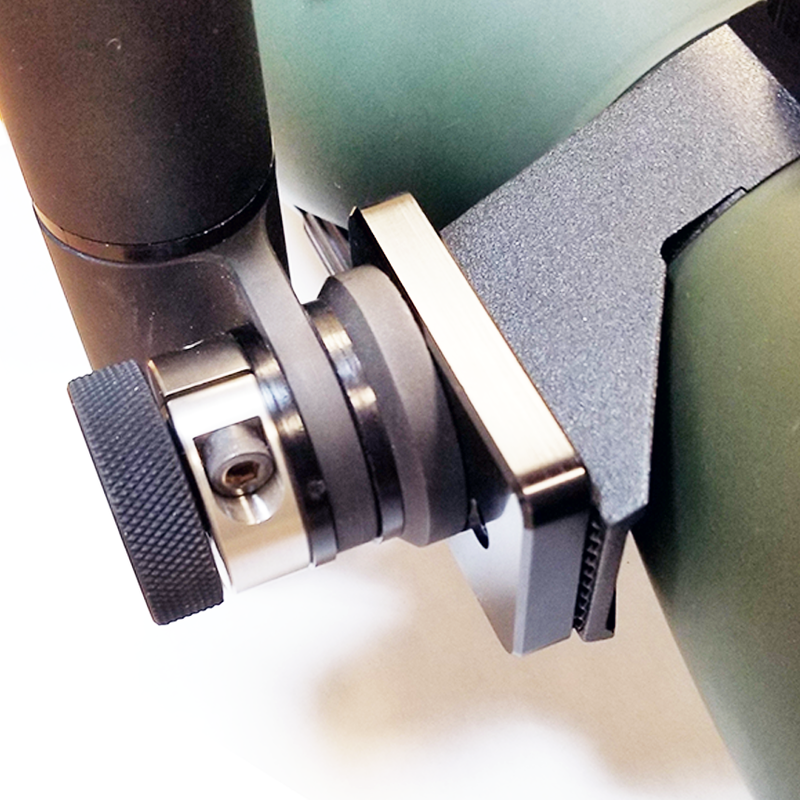 The scope mount saver keeps you from stripping out, or wearing out the threaded holes in your spotting scope mount. It measures just over 2" by 1 1/2", is made from 3/8" thick 6061 black anodized Aluminum. Shooters typically remove their spotting scopes once they leave the range. Repeatedly inserting a steel mounting screw into an aluminum threaded hole can quickly wear out the threads. Once those threads are destroyed there is very little you can do other than to replace the scope or send it back to the factory for repair. Very clear.Can see white tees on white at 200 yds. 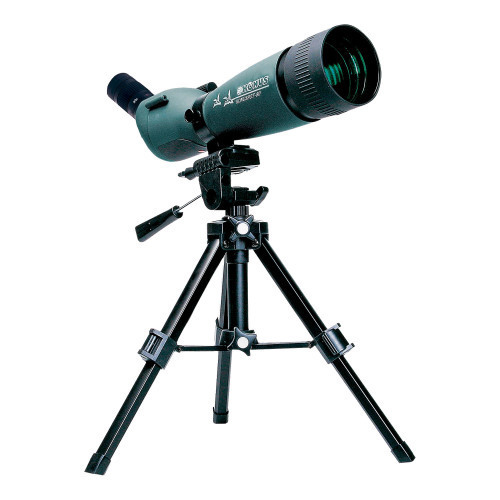 Good value in a modest priced spotting scope. I use it for service rifle matches at 200 yards (reduced targets). Works well with a Creedmoor stand. I bought this scope because I didn't want to pay over a grand for the one I wanted. It's China's finest from the boxes down to the plastic. The phone adapter is a joke but for a little over $200.00 I'd buy it again. I'm only using it for 100 yds. but I'm sure you could effectively use it for 300. At 100 it's crisp and clear, easy to focus and stays in focus. 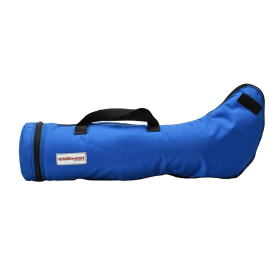 I ordered a Vortex cover for it but don't know if it fits yet. They make pretty nice padded ones reasonably priced. As for the phone adaptor, the mounting tube itself is a nice fit and design. I bought a really good suction cup/windshield car phone device that I'll modify to fit. This is such a good deal that if it gets dropped who cares? Just buy another one. I also have horrible eyesight and it works without glasses. This was my "starter" spotting scope. I still go back to it every now and then, particularly for 200 - 300 yard shooting. You can pick out smallbore shots @ 100 yds., .30 cal shots out to 300. It does get dim at the highest magnifications, but I generally set it for about 30-35x magnification, and it works well. 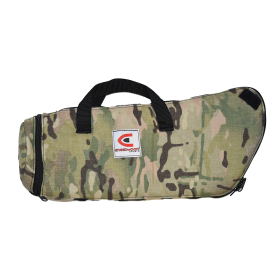 This is a GREAT scope for those on a budget. It gets four stars, because the 1/4 x 20 threaded insert on the collar, is a lower grade pot metal, and can strip easily. A great scope, very clear optics, and bright. Able to see .17 caliber holes at 100 yards easily. I am happy with the scope, great value. I didn't want to spend too much, so I knew I was going to have to compromise on a few aspects. It looks great at the lower zoom but gets darker as you augment the magnification. I think I will keep it for a few years and upgrade for a brighter one in the future. 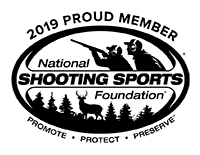 Still recommend it highly if you are getting into the sport and are working on a budget. Took this out to the range yesterday. Shot at 100 yds and 300 yds. I could easily spot .223 bullet holes on paper targets at 100 yds, and could easily spot .223 holes in "Shoot and See" type targets at 300 yards. Very clear view, nice adjustable focus dial and the rotating bezel is a great feature. Showed it to other shooters on the range and all were impressed as well. I recommend this to anyone looking for a spotting scope.